So many questions are asked of us during our final year in high school. So may tasks to be accomplished from SAT tests, to grades, to college application deadlines. How about writing an essay that explains exactly who you are and how extra special you are in 650 words or less!!! Are you feeling the pressure and want to go back to summer days on the beach or are dreaming of a Saturday that only includes chips and Netflix? Me too, and my skin is showing the signs of stress. 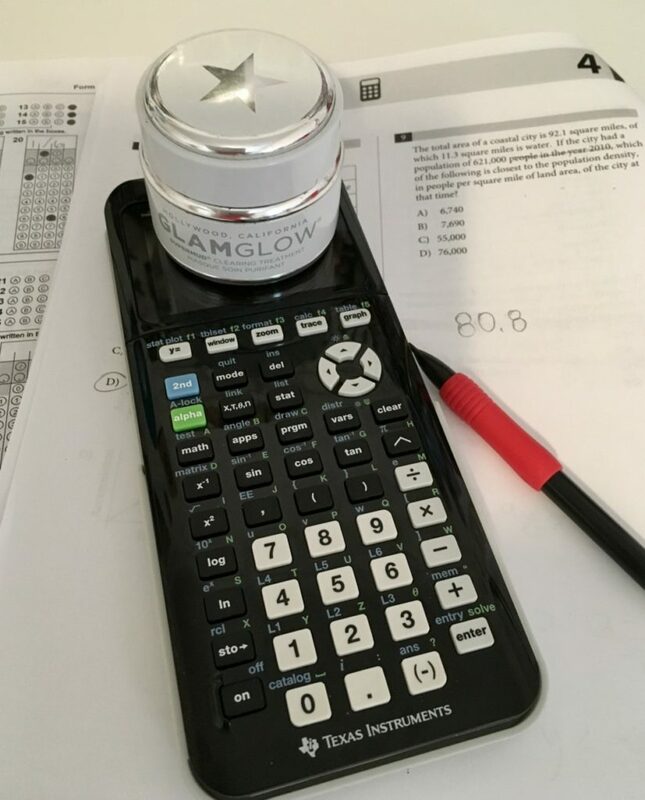 My favorite remedy is GLAMGLOW! This super charcoal mud clearing treatment works wonders on blemishes. I try to remember to use it once a week as a mask. I keep it on for the length of one Spanish or math worksheet ;). I often just use a swab of the mask directly on a blemish for a fast drying effect. So while you're trying to decide who you are going to be for the rest of your life, continue to enjoy the small things, like having your Mom wash and fold your laundry, the smell of your favorite dinner, or the laughter and comfort you have with your high school friends.